This is a review for UncommonGoods.com. I was offered compensation in the form of an item from their website in exchange for this post. All opinions are my own. Just when things are comfortable, the world tips over and a new perspective floats to the top, something new to get used to. A few years ago I decided to explore this truth. My job had been over for years, I was at home, the kids were in school, and I needed an outlet. So I started a blog. 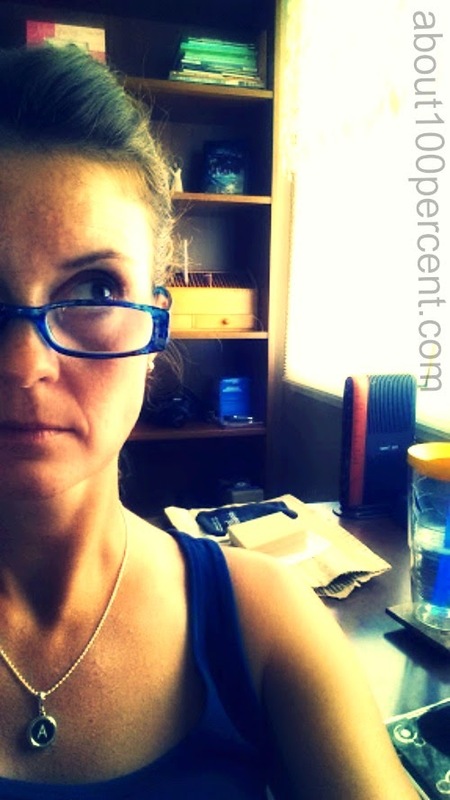 I blogged to practice expressing myself, to tell stories, to crack myself up. I quickly found that websites offered publication, so I submitted a post. It got picked up. And then, another. It was then I realized how low expectations can be for internet content. Nevertheless, I was hooked. Along the way, while pondering exactly why I wasn’t rich and famous yet, I discovered other blogs. And bloggers. Just like me. Millions of them. I scrolled through countless blogs, inhaling ones about traveling, design, and household tips. I scanned blogs written in different languages. I read blogs that reviewed products. 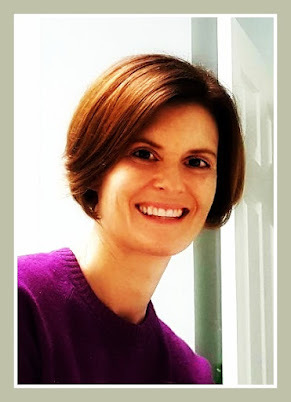 I lingered on family and parenting blogs. I marveled that people published pictures of their children on the internet. I found that bloggers not only blog, but they also read and comment and spread general cheer around their corner of weburbia. I claimed my spot and it continues to change and grow and offer up new perspectives. Over the last four years, while reading and commenting and cheer-spreading through my blog, I’ve come to know one thing: not all writers are bloggers, but all bloggers are writers. At least the ones I read are. When UncommonGoods contacted me to review one of their products on my blog, I said yes yes YES! I’ve shopped their site in the past, and quietly coveted several of their products, especially those from their personalized art and jewelry collections. I jumped at the chance to get my hands on something. UncommonGoods is a cool company. Based in Brooklyn, New York, their mission is to support artists and designers; further, their unique gifts are “created in harmony with the environment and without harm to animals or people.” If you’re looking for something that is thoughtfully and meaningfully made, this is your source. If you love personalized gifts like I do, visit this page to see what they offer. And I swooned when I saw some of the items for kids and babies, like fortune cookie booties. Fortune cookie booties! I'm in love. Click here here to check them out. I'll wait. Half of what UncommonGoods sells is made by hand, and one-third of their entire collection incorporates recycled and/or upcycled materials. Most items are made in the USA. They’re do-gooders in other ways, too. With every purchase you make, they donate $1 to the non-profit organization of your choice. They also support several non-profits including RAINN, the nation’s largest anti-sexual violence organization, and Reach Out And Read, where doctors and nurses promote early literacy, language skills, and school readiness to young children and their families in our country. It took me forever to decide what to try, but I finally decided on an item from their personalized jewelry collection: the typewriter key necklace. You can find it here, along with other items in this collection. 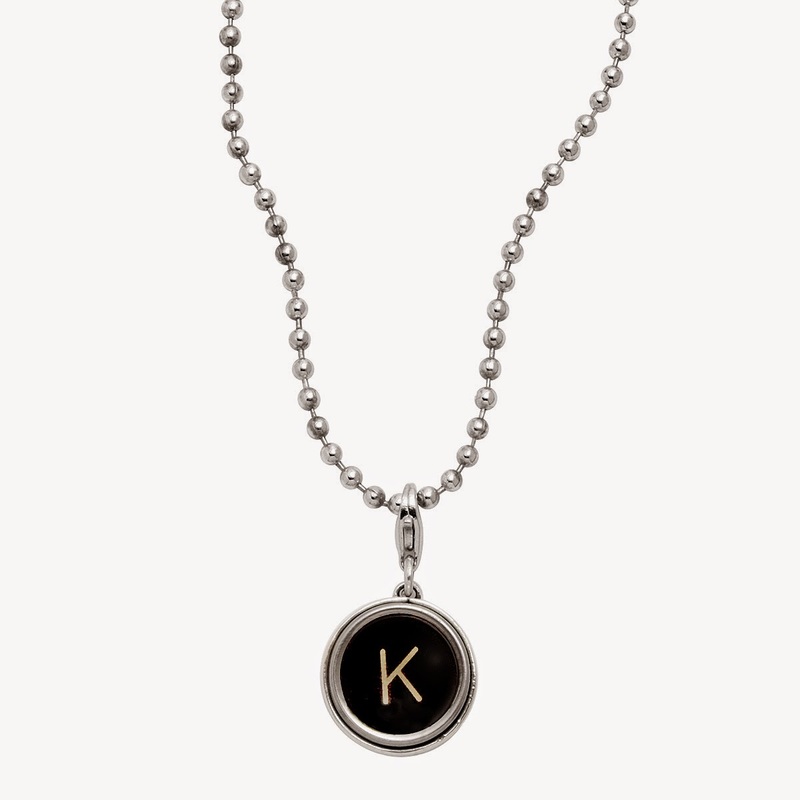 Made from a vintage typewriter key, the charm is encased in sterling silver and hangs from a sterling silver chain. It’s casual enough to wear every day, but provides just the right amount of sparkle when you want to look fancy. Best of all, it’s solid and well-made. The necklace came in such great packaging. Like a present within a present within a present. And it’s a great conversation starter with just about anyone – the older crowd will appreciate the opportunity to reminisce about their dad’s old typewriter, and the younger crowd will get a lesson in ancient technology. I just love it and will likely wear it every day, because it’s pretty, and because it reminds me of my current perspective - as not only a blogger, but a writer, too. I've order two wedding presents (the personalized retro prints) from Uncommon Good and both sets of Bride and Grooms loved their gift! I love those prints too! This company is perfect for gifts that you can buy for just about anyone. You are a writer! And a very good one, too. Love the necklace! Thanks so much, Shannon. I love the necklace, too. You need one! Yes, you are a writer, a very good one too, may I add. Also, a very pretty necklace model. I like. Very much. I love Uncommon Goods so much. I'm always checking them out for unique gifts. Great review! I was looking at a necklace just like that last night..I even bookmarked it and intended to ask (tell) the hubby I'd like it. It looks great on you...because it belongs there. Love your words. I just love how a piece of jewelry can have so much meaning! And yes, girl, you are SO a writer. Confession: I am still not a great typist. Thank goodness for backspace. You are most definitely a writer. Worthy of a whole typewriter worth of keys across your neck. Wait, that doesn't sound right. I wonder what they do with all the return levers from those old typewriters. Those necklaces are going on my daughters' Christmas lists. I'm glad our writing paths happened to cross, Andrea. Thanks Eli! I'm happy for our connection, too. And not only for the vision of a whole set- of-typewriter-keys necklace. Now there's a fashion statement. I just know your daughters will love these necklaces! That necklace looks so great on you! !